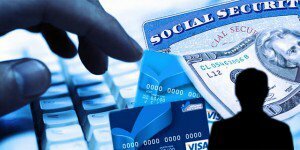 Identity theft occurs when someone uses your information, such as your name, social security number, or date of birth, to rob you of your good name and credit history. Often the damage is done before the victim even realizes what has occurred, leaving you to pick up the pieces and try to put your life back together. If you have been the victim of identity theft or inaccurate credit reports and live in Woodbridge, please contact our firm if you have any questions about the process. If you live in Woodbridge and you believe that you are the victim of identity theft, you can begin to fix your problems by following certain steps. First, contact the Prince William County Police at their non-emergency number at (703) 792-6500 so that you can file a police report related to the identity theft. Be sure you keep a copy of the police report for your files. Your next step should be to contact the three credit reporting agencies that control your credit file: Experian, Equifax, and TransUnion. Make sure to place a fraud alert on your credit file and obtain a copy of the credit file from each credit reporting agency. Next, check your credit report from each agency to see what information is correct and make a note of any incorrect information on your credit report. If you find incomplete, inaccurate, or misleading credit information or accounts that don’t belong to you, you should contact the credit reporting agency by writing a dispute letter. State exactly what you disagree with on your credit report, why you dispute information, and include any supporting documentation that demonstrates that you are correct. Make sure to identify any account that you believe has been opened as a result of identity theft. Keep a copy of your dispute letters and anything that the credit reporting agencies send to you in response. Occasionally, credit reporting agencies will not take appropriate steps to correct credit reports or properly investigate disputes, even when presented with evidence that they are incorrect. When this happens, your best bet is to contact Blankingship & Christiano, P.C. by calling our office at (571) 313-0412.